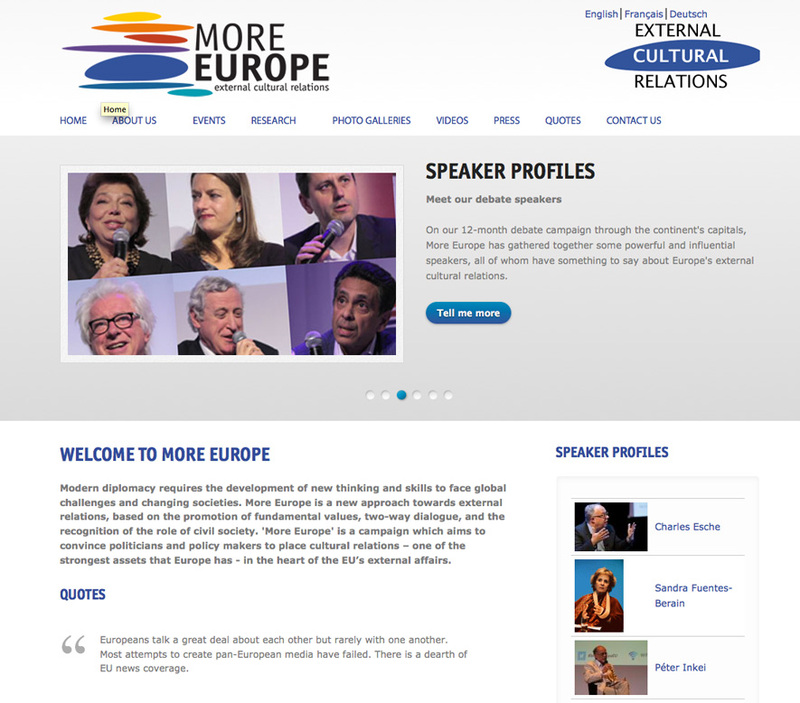 ‘More Europe’ is a campaign that aims to convince politicians and policy makers to place cultural relations – one of the strongest assets that Europe has – in the heart of the EU’s external affairs. 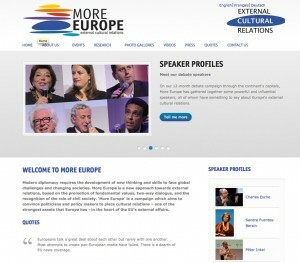 The More Europe team (a consortium of partners that includes the British Council, European Cultural Foundation, Goethe-Institut, Institut Français, Allianz Kulturstiftung, Det Danske Kulturinstitut, Fritt Ord, Gulbenkian Foundation, and the IFA) approached Aptalops to build a website for what was originally a 12 month campaign. Several years down the road, the site is still going strong and features a repository of quotes, speaker bios, documents, images and videos.